HostForLIFE.eu was established to cater to an under served market in the hosting industry; web hosting for customers who want excellent service. HostForLIFE.eu – a cheap, constant uptime, excellent customer service, quality, and also reliable hosting provider in advanced Windows and ASP.NET technology. We proudly announces new FREE ASP.NET 4.5 beta hosting in our entire servers environment. So, why wait longer? Please visit http://www.hostforlife.eu/ASPNET-45-Beta-European-Hosting.aspx to register new account. 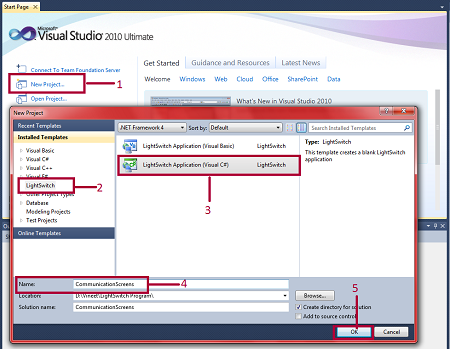 As you probably know, Visual Studio LightSwitch is a tool provided by Microsoft to build business applications. 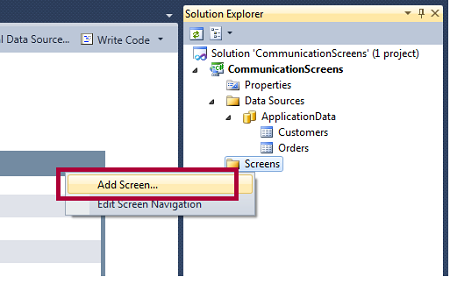 In this article you will see how to communicate screens in a LightSwitch application. 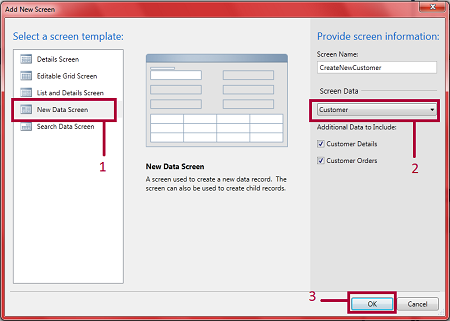 You can say a screen is a template in which you display data. 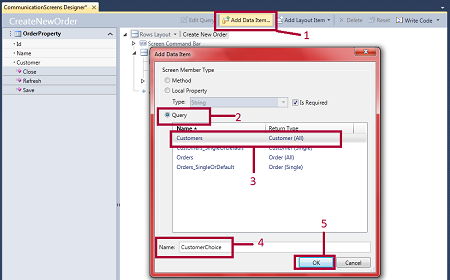 There are five types of data screens in the LightSwitch Application i.e. New Data Screen, Search Data Screen, Details Screen, Editable Grid Screen, List and Details Screen. If you want to communicate across screens in a LightSwitch application then you can do that. When we establish a relationship among screens then the process is called communication among screens. Step 1 : First of all open Visual Studio LightSwitch->Click on new project->Select LightSwitch->Select LightSwitch application->Write name (CommunicatioScreens)->Ok. 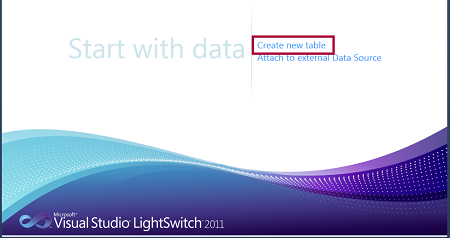 Step 2 : Click on create new table. 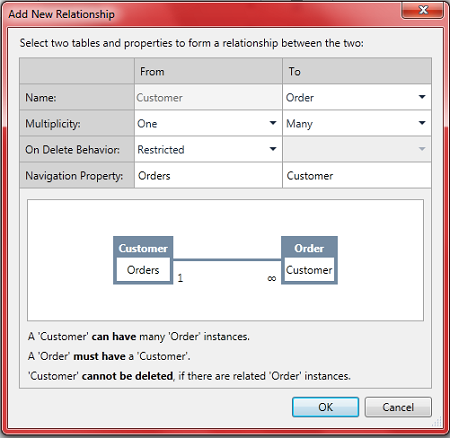 Step 3 : Create tables such as customer and order. Step 4 : Now we will establish a relationship between these tables. To establish the relationship then click on relationship. Step 5 : Now we establish a one to many relationship from the customer to the order as in the following image. 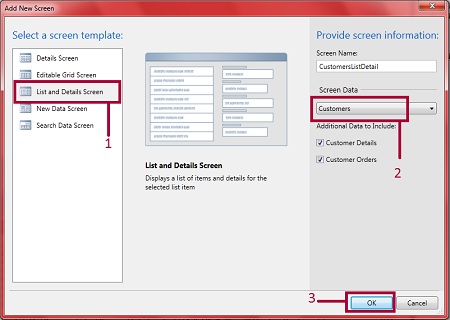 Step 7 : Select new data screen->Select screen data (customer)->Ok. In the same manner we we will add a new data screen for the order table. 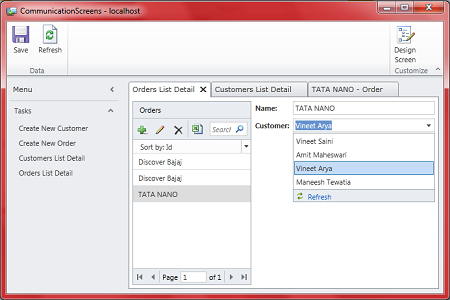 Step 8 : In the same manner we will add a list and details screen for customer and order tables. 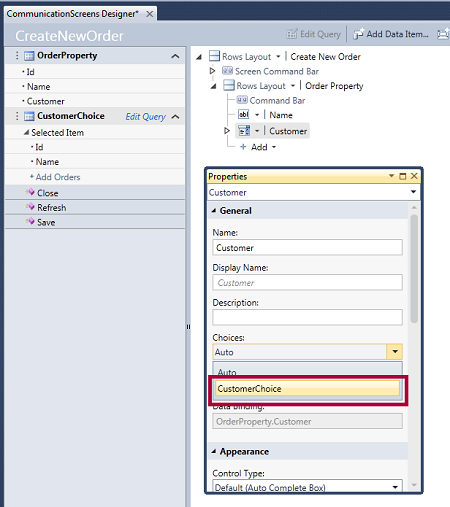 Step 9 : Click add data item->Select query->Select customer->Write name (CustomerChoice)->Ok. Step 10 : Go to the properties of the customer in CreateNewOrder screen->Select choice (CustomerChoice). Step 11 : Run the application (Press F5). Click on create new customer for adding a customer then save. Step 12 : Click on create new order for adding an order. Step 13 : If you want to see the details of a customer or order then you can. To do that you will click on customer list details and order list details. In this section you can change the customer for order like in the following image.